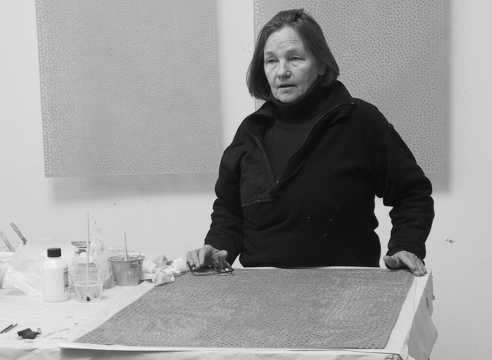 Clytie Alexander has been the recipient of numerous prestigious awards and grants, including the American Academy of Arts and Letters’ Hassam, Speicher, Betts and Symonds Art Purchase Award, 2003 and 2007; the Adolph and Esther Gottlieb Foundation Grant, 2005; the Pollock Krasner Foundation Grant, 1993 and 2001; and the Elizabeth Foundation for the Arts Grant, 1998. A native of Lawrence, Kansas, Clytie Alexander spent time in Canada and Bangladesh and studied art at UCLA. Her work can be seen in the collections of the Museum of Contemporary Art, San Diego, CA; the Nelson-Atkins Museum of Art, Kansas City, MO; the Christian Keesee Collection, Oklahoma City, OK; and the Swiss Institute, New York, NY. She currently lives and works in New York and Los Angeles.